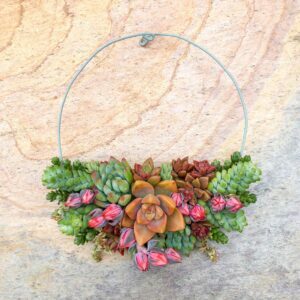 Succulent crown (succulent floral crown) for weddings, special events, or photo shoots. 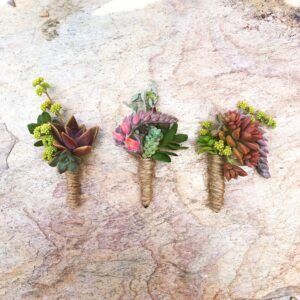 Perfect for boho style or an outdoor wedding. 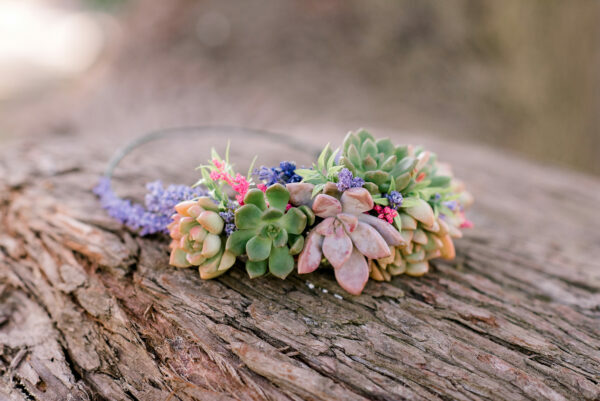 There’s nothing more majestically boho than a succulent floral crown for your big day. 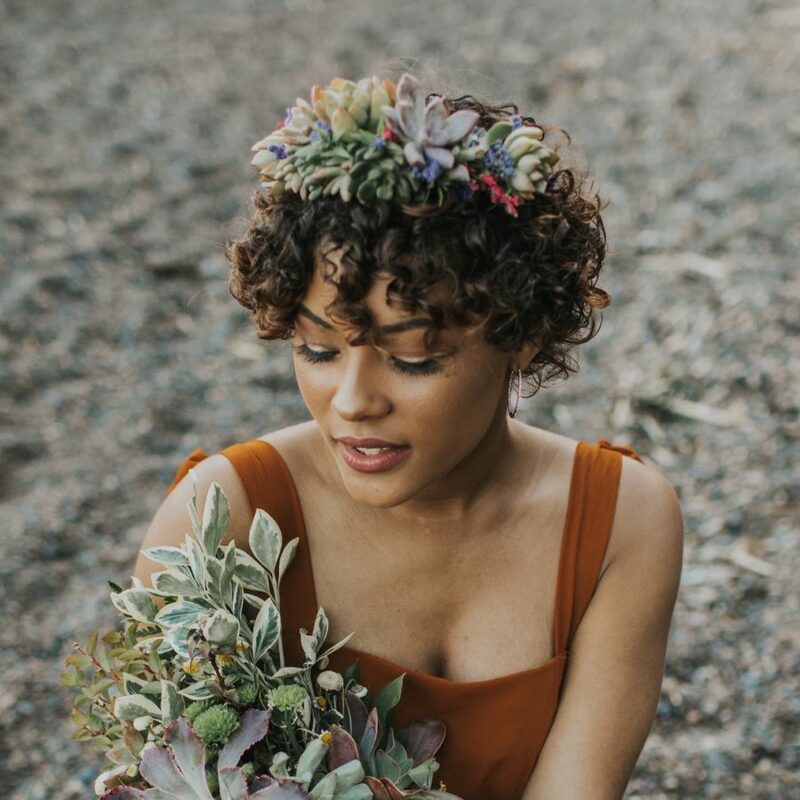 This beautiful addition to your wedding look will bring style, class, and a touch of nature to your already perfect bridal ensemble. 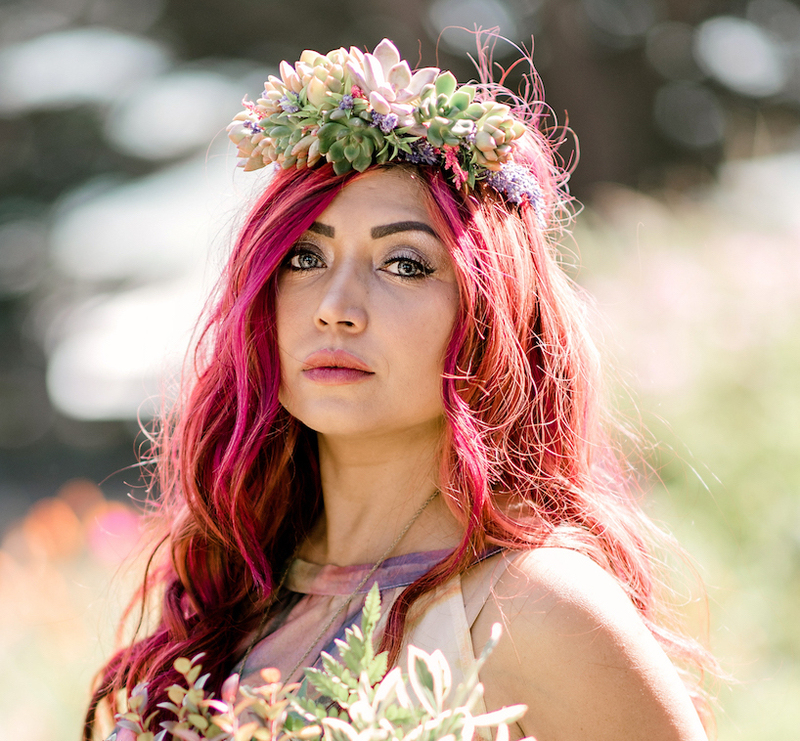 Floral crowns are made to order and can be customized by select blooms and color palette, subject to availability. Please include them in the notes or send us a separate email indicating your preferences. 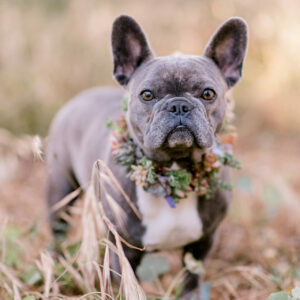 We are happy to schedule a phone call as well. 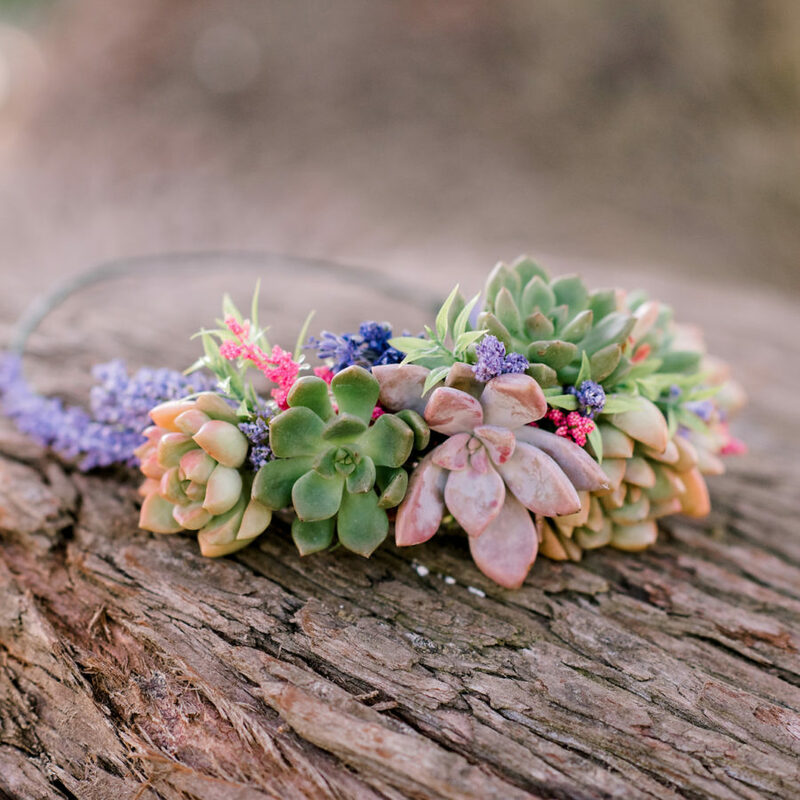 These boho succulent crowns are meant to be decorative rather than worn every day. 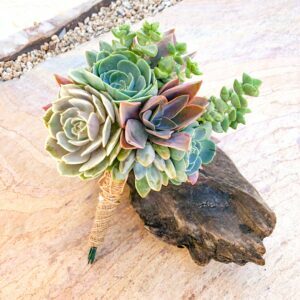 All of the plants can be removed and replanted after your wedding, event, or photo shoot. 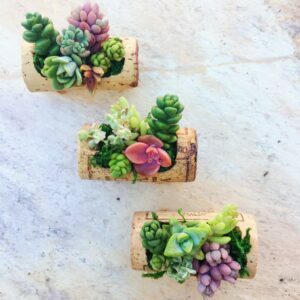 Succulents are hardy, draught-resistance plants that can take a pretty decent beating and still live to see another day. 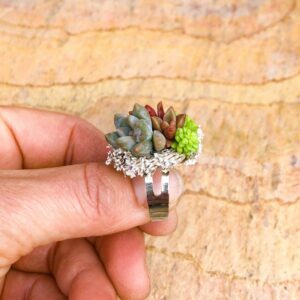 Take care of your crown with regular indirect sunlight and a weekly spritz of water, and it will last for a long while. 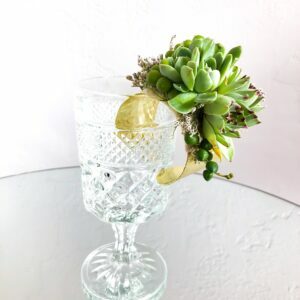 Once the party is over, carefully separate the plants from the form and replant in coarse soil. Care instructions are enclosed with every purchase.